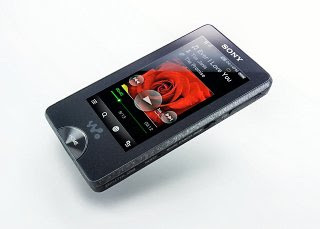 The Imaging and Sound Association (EISA) has awarded Sony with 6 award for 2009-2010 with the X-Series Walkman picking up the award for 'Best European Personal Media Player'. The 2009-2010 EISA Awards will be presented at a special Gala Event in Berlin on the 4th of September 2009. Does did the X-Series deserve to win this award? Unfortunately no, allow me to explain. Even though I agree with several of the EISA's points such as the noise-cancellation, OLED screen and easy loading of files, but many media formats (FLAC, ogg, divx) are still not supported along with gapless and lossless formats. The Wi-Fi connection would have been a nice addition if it were not for the poor browser Sony included. Another unfortunate piece of fact is the sub-par processor that Sony has included in the X-Series. The cpu in question is the ARM926EJ-STM; the same CPU type is offered in the Nokia 5220 XpressMusic which is from the 3rd Q of 2008, meaning the X-Series was developed around early to middle of 2008, maybe even earlier. This was definitely a cost cutting measure which one would make sense to pass on the savings to consumers, but when Sony prices the X-Series (32gb) at $499 CAD, I see no savings but only profit for Sony. I am holding out on an X-Series purchase due to its high price and much better devices arriving in the 3rd quarter (PMP, mobile phone). Perhaps if Sony opted for a better processor, then more media formats could have been supported. But then more media formats bring up licensing issues and higher costs. Maybe the X-Series was rushed so as to get the product to market as quickly as possible and Sony opted to save time and use parts that were cheaper and even already at one of their facilities. This is just a hunch but I will repeat what I said at the start, the X-Series does not deserve this award.